Debbie Amis Bell (formerly Debbie Amis) was a Communist Party USA leader in Philadelphia.. It may seem natural for a child to follow in their parents' footsteps, but in reality it's not. Still, my parents shared their belief in the working class and their faith that justice and equality was an unending struggle with all of their five children. I was also lucky to live in Philadelphia, where there was a youth group. This is where I associated with other young people who had similar ideological and social interests. Joining the Party, my parents' Party, has been one of the most important, enjoyable and exciting events of my life. She was married to David Bell. On March 18 2018, a memorial was held at the Unitarian Society of Germantown for labor and community leader Debbie Amis Bell, who passed one year ago. Bell was a founder of the Student Non-violent Coordinating Committee (SNCC), a leader of the Philadelphia Federation of Teachers, and of its parent union, the American Federation of Teachers. She was well-known and respected in labor circles here in Philadelphia and beyond. She was a National Committee member of the Communist Party USA and a leader in the party’s Philadelphia District organization. The memorial keynote address was delivered by Jarvis Tyner, head of the New York State Committee of the CPUSA and National Committee member. Other speakers included Melvin Metelits, who at one time served with Debbie on the PFT’s executive board, and Rosita Johnson, a fellow teacher, progressive caucus member, and political activist. Ron Whitehorne, long-time chair of the Philadelphia Coalition Advocating for Public Schools, led the 100-plus crowd in singing historic labor songs. A surprise appearance was made by Councilwoman Cindy Bass, who recalled days of street activism alongside Bell and other left activists in Germantown. Councilwoman Bass presented the family with a certificate from City Council recognizing Bell’s longstanding contributions to justice. Andrea Bell-Chaniot, Bell’s daughter, spoke warmly of her mother’s role in her life and the life of her family and friends. A close friend, Joan Kryzwicki, sent a letter in which she described the warm relationship she and Bell developed walking in Philadelphia’s fabled Wissahickon Park, the largest urban forest in North America. Every day they would meet at 7 a.m. to hike and talk life, family, and politics. In the 1960s Debbie Amis worked forthe SNCC-(Student Non-voilent Coordinating Committee}. I was a Field Organizer for SNCC. My major assignment was to work with the community, schools,churches and Black business community to desegrate the restaurants and businesses in Atlanta. My colleagues and I canvassed the streets, campuses, talked at churches, held rallies and meetings to recruit the community to picket, march and sit-in. Atlanta was supportive of the SNCC activies. The community readily joined our protests and rallies. They often fed and nurtured us. Most importantly they were vigilant when we were jailed and they provided bail so that we could again hit the streets to continue our organizing and protests. Another task was to represent SNCC at meetings with SCLC to discuss actions in Atlanta. It was not unusual for King, Abernathy, Vivian and other "big names" to be active participants along with us. Pleasant memories and great friendships have been one of the gifts that I have gained from my service in the movement. It has layed the bases a life-long commitment for change — union, civil rights, community and the Communist Party. Debbie Bell is the daughter of an African American father and a Jewish mother who married in the 1930's. B.D. Amis and Sophie Sinowitz were both seasoned, active members of the Communist Party USA. They understood and rejected the whole racist ideological underpinnings that rationalized slavery in the past, Jim Crow then and structural racism today. They fell in love. They understood that a society that fostered lynching, bestial racist violence, (like Henry Winston would always say), a society that fostered racial oppression and Apartheid so that it's capitalist ruling class could make trillions in extra profits was on the wrong side of history. They dedicated their lives to ending racism and the capitalism system that fostered it. Black and white unite and fight was the great battle cry. Sophie and B. D. along with thousands of active U.S. Communist made the difference. On June 1, 1975, Debbie Bell was elected as a member of the District Committee of the Pennsylvania Communist Party at the Party's District Convention. In April 1960 when Debbie was in a senior in college and already a seasoned communist, the party asked her to attend a student civil rights conference in Raleigh North Carolina as an observer. Debbie eagerly accepted. The conference turned out to be the founding conference of the Student Nonviolent Coordinating Committee . Debbie Bell left the conference "with a sense of urgency". At the time she said, "I was determined to make a difference." And she did, in fact one can say that she made a difference for the rest of her life. Debbie decided to go south and work for SNCC. Her application was accepted and in March 1963 Bell headed south. She drove straight through to Atlanta, just stopping for gas. Most of the time bail would be posted and they would be out after a day or two. But one time authorities found out the Debbie was on a hunger strike. Fearing that she would be a "bad example" for the other prisoners, she was put in solitary: a room with no bed and no mattress no sink and just a whole in the floor. Debbie came back to Philadelphia and continued to make a difference. As a teacher and class-conscious union member she made the difference. As an active member of the Communist Party. As a member of the party's district board and eventually the Chair of the district, Debbie made a difference. Through the years of fighting to end the Vietnam War, the Black Power days, the struggle to Free Angela, the anti apartheid struggle, the Black Radical Congress days where she was part of the national leadership. In September 2006 the People's Weekly World listed several members of the Pennsylvania Communist Party. Asad Ali, Billie Penn Johnson, Denise Winebrenner Edwards, Donna Puleio Spadaro Dr A S Mahdi Ibn-Ziyad, Gary Puleio (In Memoriam), George Edwards, Joe Kopnitsky, Ken Heard, Ben Sears, Dave Bell, Debbie Bell, Diane Mohney & John Vago, Evie Horwitz & Larry Horwitz , Frances Gabow, The Incognito Family, James Bradford, Jimmie Wayne Moore, June Krebs, Leonard Pepper, Rookie Perna, Rosita Johnson, Sharon Hurley. The Communist Party of Eastern Pennsylvania & Delaware's 1990 annual Peoples Weekly World banquet honored Jim Moran, director of Philadelphia Area Project for Occupational Safety and Health, and Debbie Bell, local Party chairperson and treasurer of the Black Radical Congress. Royce Adams served as MC, while Eliott Kenin sang and Amina Baraka recited poetry. Adams read out a tribute to Bell from Julian Bond of the NAACP - he said Bell was "part of a band of brothers and sisters who dared risk life and limb to make American democracy live up to its promise....you could not selected a finer life to celebrate or a finer person to honor." In March 1998 “Endorsers of the Call” to found a Black Radical Congress included Debbie Bell, Communist Party USA. In 2000 Debbie Bell was the Philadelphia contact for Black Radical Congress. In 2000 Debbie Bell served on the Coordinating Committee of the Black Radical Congress. In late May 2002, Debbie Bell, national chairperson of the CPUSA’s African American Equality Commission, spoke to a crowd at the Center for Marxist Education in Boston about her trip to the People’s Republic of China. Many are searching for a Marxist analysis of the developments in China and Bell’s speech helped provide that. The meeting also celebrated the 89th birthday of CPUSA veteran Laura Ross. 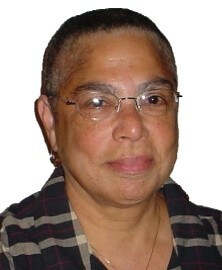 In the Feb. 28-March 5, 2004 edition of the PWW, in its "What's On' calendar section, Debbie Bell was a scheduled speaker at the CP's New Haven Peoples Center, New Haven, Connecticut, and was identified as follows: "Debbie Bell, 1960s civil rights organizer, Chair, African American Equality Commission, CPUSA; Phildelphia Federation of Teachers Retirees"
The Philadelphia Social Science Forum in honor of Black History Month presented an "An evening with Martha Prescod Norman Noonan", co-editor of the recently published "Hands on the Freedom Plow: Personal Accounts by Women in SNCC"
Martha Noonan is an experienced Civil Rights activist and teacher of history. She was active in the Student Nonviolent Coordinating Committee. On Thursday, June 16th, 2011, the Philadelphia Chapter of the Coalition of Labor Union Women, held their annual Working Women's Awareness Week Awards Reception. Labor Justice Radio, a program of the Media Mobilizing Project, was among the honorees. CLUW member, Ellen Slack, of AFSCME Local 590, presented the members of Labor Justice Radio with the award.